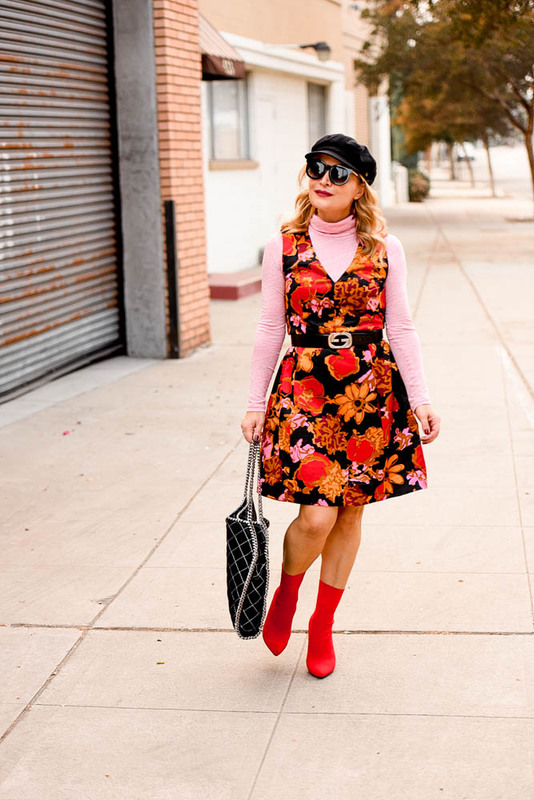 Pink and Red Floral Dress, Sock Boots & Cap. Gone are the days where mixing clashing colors together are considered taboo, in fact I don’t think any fashion “rules” apply at all anymore! The more creative the better, pink and red with a dark floral print really works so well together. This darling pink and red floral dress from Julie Brown NYC looks so chic with a turtleneck layered underneath and with a statement necklace and some strappy heels it will be perfect for any holiday party I may be attending (stay tuned for that combo) If you’re looking for something that you can wear to a party as well as the office and get the most out of your purchase check out JulieBrownNYC.com so much cuteness all in one site! I have my eye on a particularly cute fuchsia cape and sequined camisole! How is everyone feeling about the end of daylight savings? I really hate the short days! I already can’t fit everything I need to to do in one day and then to have several hours cut out of my day…whats a girl to do? It kind of forces me to slow down a bit so perhaps I should be grateful? Baby Blue Blouse, White Ruffled Skirt. Floral Dress, Faux Fur Jacket. Love the unique color combos! Lovely look dear! 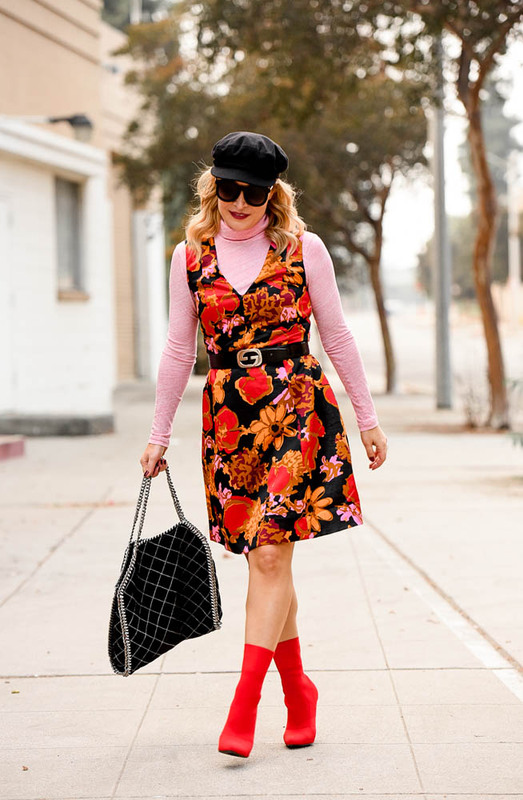 I love the floral dress and red sock boots. Really chic and fab!